Posted September 22nd, 2013 by Gerry La Rocca & filed under Accounting Careers, Canadian Economy, International Accounting, International Business Operations, Marketing & Strategy. A new survey by the Asia Pacific Foundation (APF) of Canada highlights the opportunities and challenges Canadian companies face while doing business in China. APF Canada, a Vancouver-based non-profit think tank on Canada-Asia relations, launched the survey examining how Canadian companies perform in the world’s most populous country as a follow-up to a 2010 study on the same topic. A solid majority, 75% of respondents, reported profitability in their Chinese operations, on par with 76% in 2010. Exporters were the most profitable at 84%, followed by importers at 75% and companies with operations in China at 68%. That wide range of opportunities was certainly illustrated by the variety of sectors in which respondents operate. Manufacturers had the strongest showing, representing 20% of all surveyed, followed by professional services at 19% and hi-tech/IT and education, each at 8%. While Canadian businesses of all sizes were included in the survey, companies earning less than $10 million in revenue in 2011 made up 58% of those polled. By comparison, 20% reported revenue of $100 million or above in 2011. Of the entrepreneurs polled, 70% said doing business in China is more difficult than in other international markets. The top challenges respondents listed were China’s intellectual property rules and practices, inconsistent interpretation of regulations and laws, and weak dispute-settlement mechanisms. Zhang suggests entrepreneurs looking at China “need to be aware and be prepared” by engaging professional service providers experienced in developing defensive marketing strategies. 1. If 75% of respondents showed profitability: What considerations did these entrepreneurs take into account in order to be so successful? 2. 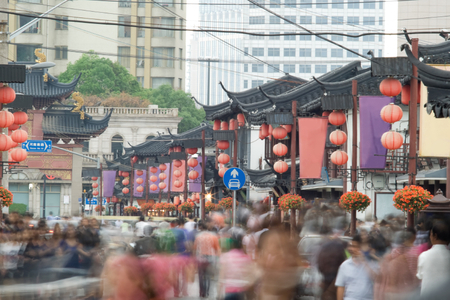 Would you find it easy to successfully launch a new business venture in China? 3. Would starting a new business in your own country be a first step before starting a new business abroad?